ST. GEORGE — On the school’s 107th birthday Wednesday, Dixie State University President Richard “Biff” Williams touted the institution’s progress and outlined its current and future goals during his annual State of the University speech. Speaking to a crowd of a few hundred gathered in the M.K. 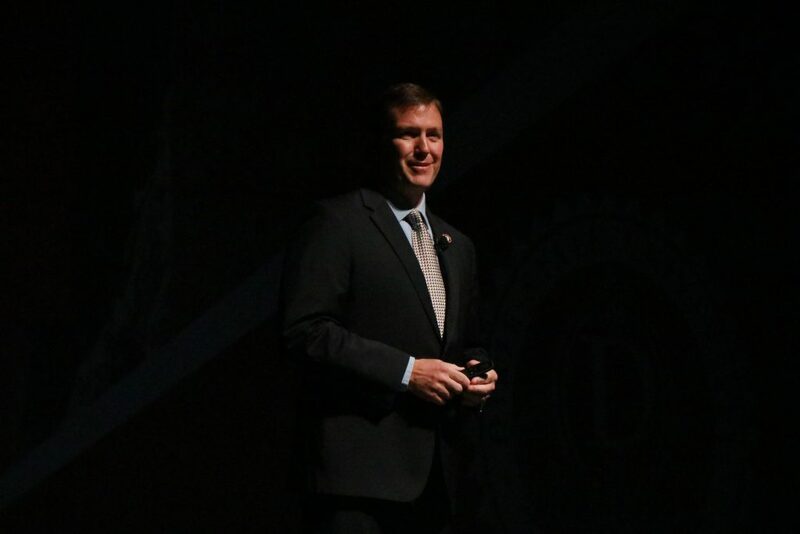 Cox Performing Arts Center, Williams touched on several themes and goals that are part of DSU’s strategic plan, now beginning its fourth year. Broaden and enhance academic programs. 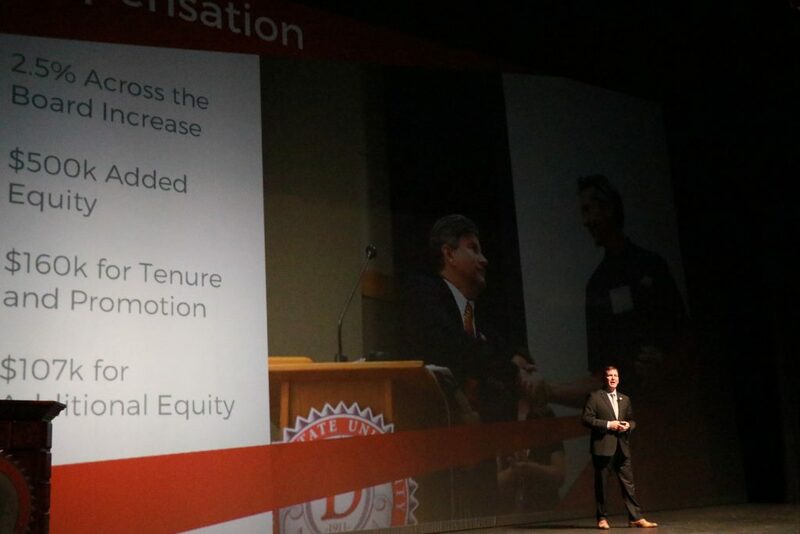 Invest in faculty and staff. Enhance support of inclusion and equity. Engage the Southern Utah region. Establish a strong brand and identity. Some of the new degree programs mentioned by Williams include music and performance, mechanical engineering, design and molecular biology-biochemistry. In addition, the university’s first post-graduate degree, a master’s degree in accountancy was added earlier this year, and several more master’s degree programs are in the works, along with more bachelor’s degrees and online course offerings. 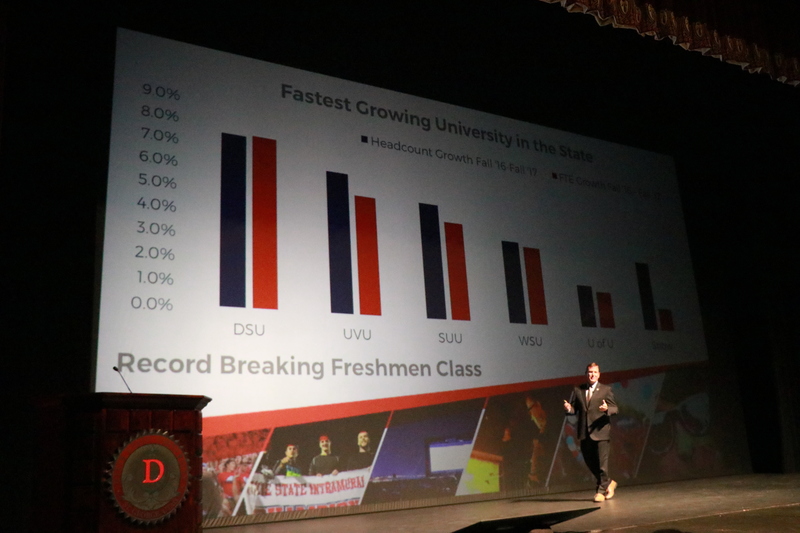 Williams cited U.S. News and World Report’s recent ranking of DSU as the seventh-best regional public college in the West and also noted Dixie State is the fastest-growing university in Utah, with enrollment rising more than 72 percent over the past decade. 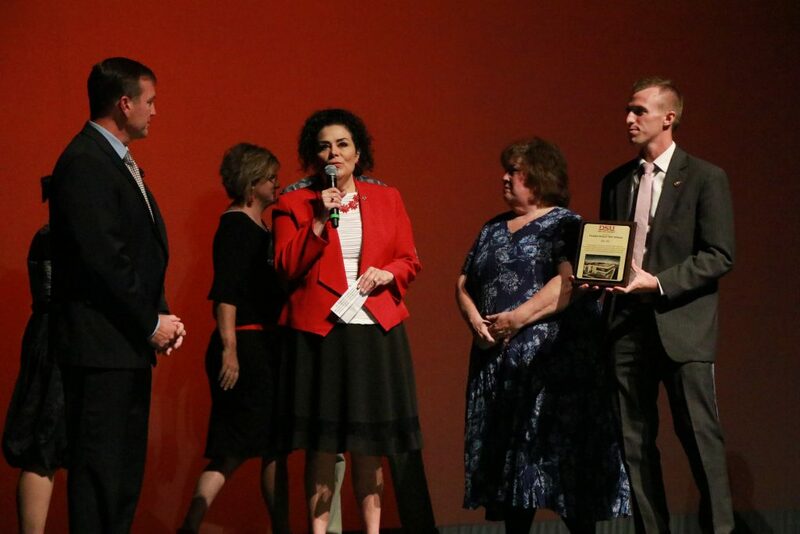 Also shared by Williams were a few success stories involving DSU students and alumni. Among those mentioned were Victoria Abbott, a graduate of Desert Hills High School who is now working at a law firm in California; Kalisi Uluave, a biology student who was recently accepted to the North Dakota School of Medicine and Health Sciences; and Majere Wintch, a respiratory therapist who devised an innovative valve switch for oxygen tanks. 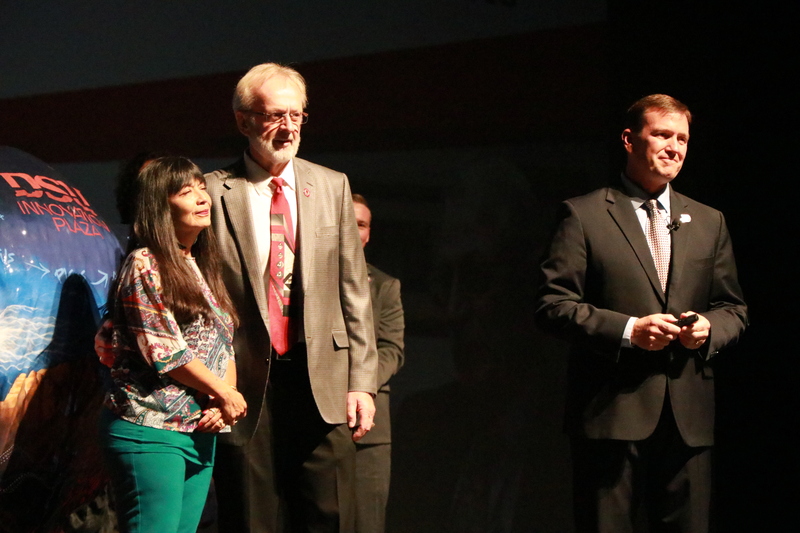 Williams also invited onstage Lindsay and Laura Atwood, who were recognized for their $3 million donation to help create the university’s new Innovation Plaza, an entrepreneurial laboratory. As a result of their generosity, the facility will henceforth be called Atwood Innovation Plaza, Williams announced. Innovation guidance director Wayne Provost was also recognized for his work with students in the new Innovation Plaza, including helping students apply for dozens of patents, copyrights and trademarks. 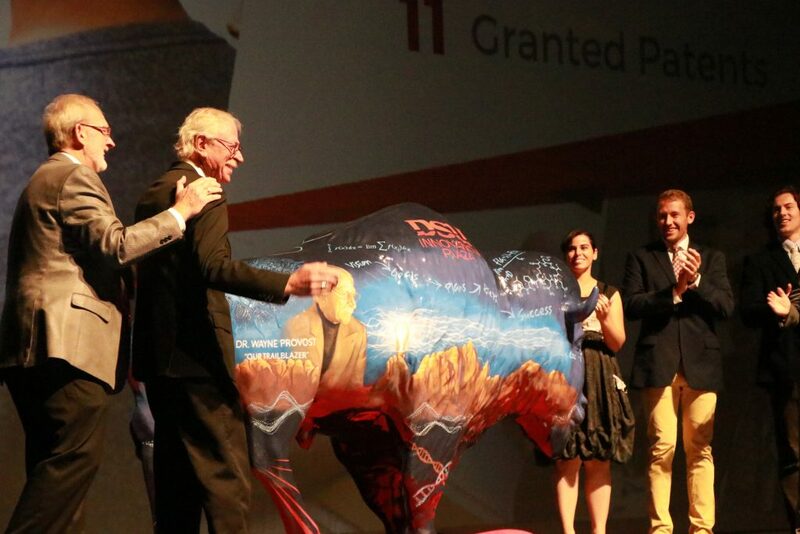 A new life-size fiberglass bison painted to include Provost’s likeness was brought onstage by several of his students. 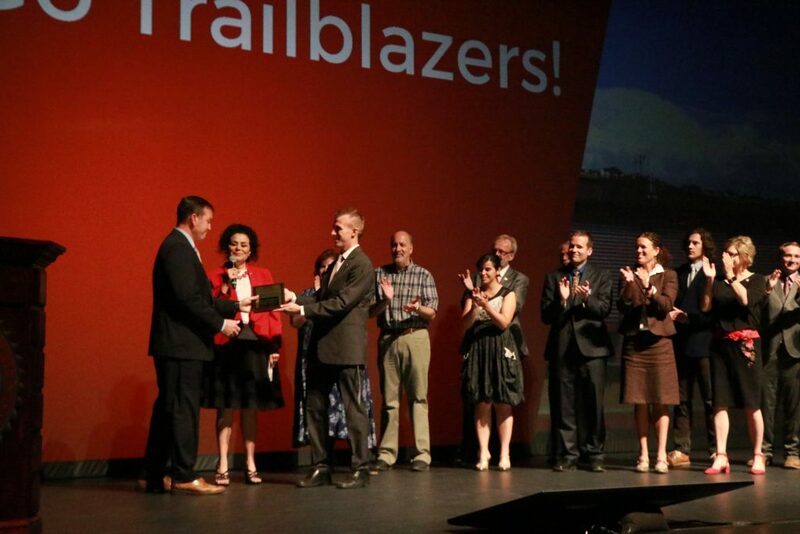 The Larry H. Miller Educational Foundation also contributed $500,000 toward the new Innovation Plaza. Other topics addressed by Williams included student retention, academic success, athletics, new buildings and expansion of other campus facilities, faculty recruitment and compensation, community engagement, student health and wellness, concurrent enrollment and multicultural diversity inclusion efforts. The program concluded with a showing of the popular video of “A Million Dreams,” featuring Alex Boyé, which was filmed at DSU and surrounding locations and released earlier this year. The 5-minute video now has more than 1 million views on YouTube, Williams noted. 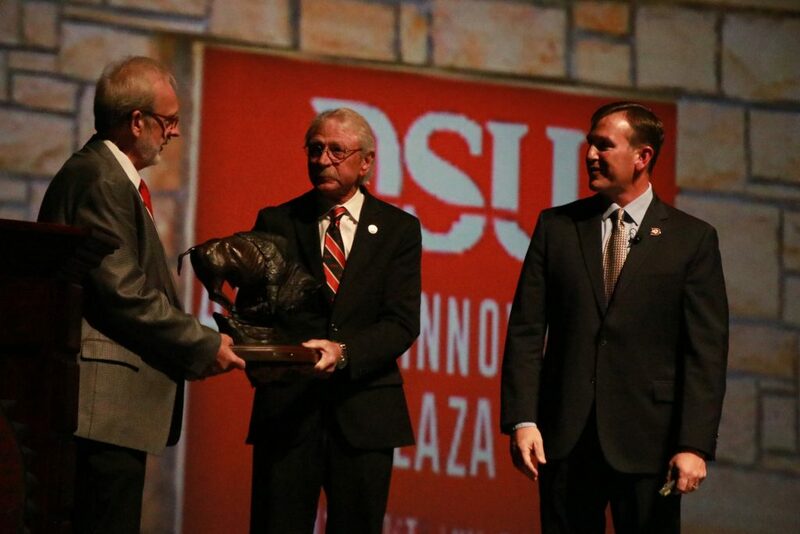 “Dixie State looks pretty darn good for being 107 years old,” David Clark, chairman of the DSU board of trustees, said as he introduced Williams. “The university continues to incorporate the cutting edge leading practices in all of its disciplines,” he added. Clark noted that Williams and his administration continue to have the full support of the board of trustees. “I can’t emphasize that enough,” he said. Michelle McDermott, president of the DSU faculty senate, also spoke briefly, saying faculty members are collectively responsible for the university’s success. McDermott went on to say that her greatest joy as a faculty member has been witnessing student success, expressing gratitude to other faculty members, administration and the students themselves for working together toward that sucess. 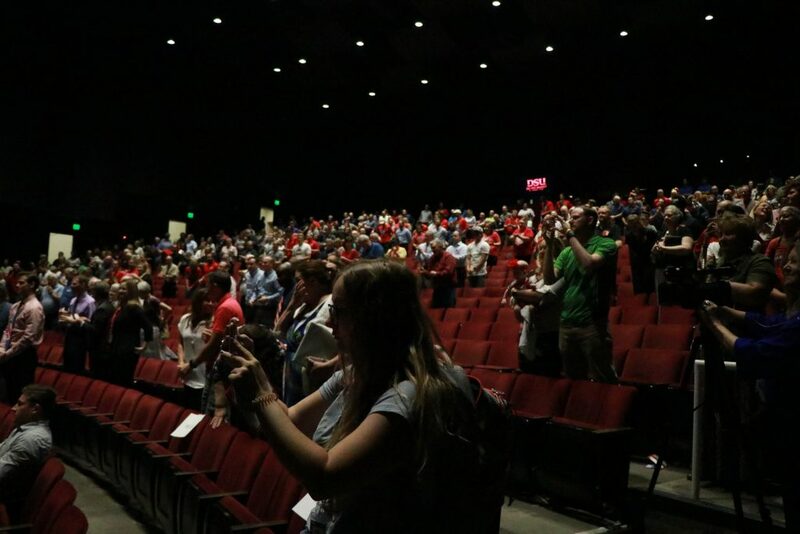 Others who spoke briefly during the program included DSU student body president Cajun Syrett, as well as Ali Threet and Sylvia Bradshaw, the president and president-elect of the DSU staff association. The Raging Red choir performed the national anthem. 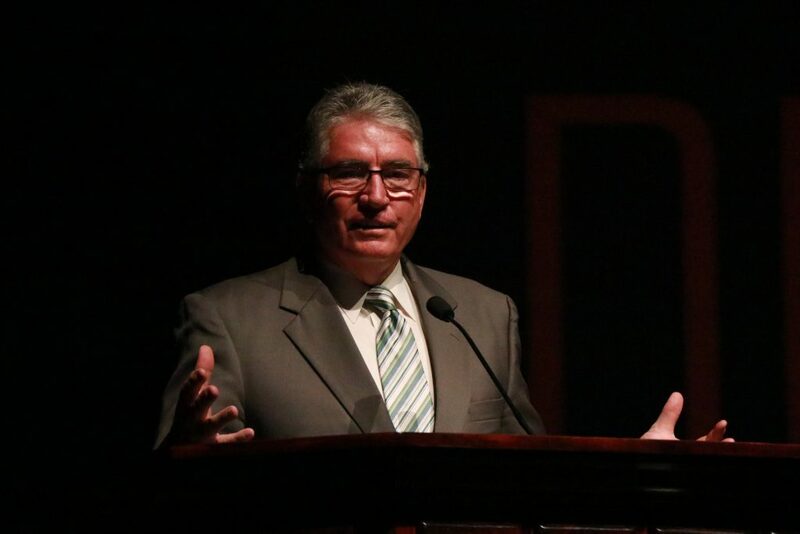 To view the full video of Wednesday’s program, visit this link. To view the 28-page president’s report as an electronic pdf file, click here. At the conclusion of Williams’ speech, he was presented with a plaque by McDermott and several students gathered onstage. The plaque indicated the sprint hill, a portion of the running track to be located within the new Human Performance Center, scheduled to be completed next year, will be named after Williams. 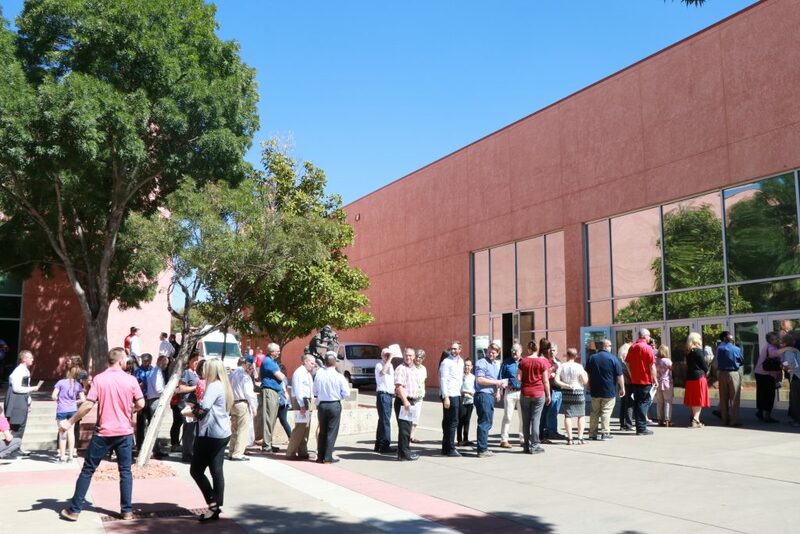 Attendees were treated to free sandwiches and birthday cake in the nearby Burns Arena concourse following the presentation. The time will come when he’ll be revealed for who he really is! Among the accomplishments did Biff note the getting rid of long term and respected faculty that he has taken a dislike to? Did he provide an update on the several civil suits in which DSU has been named?